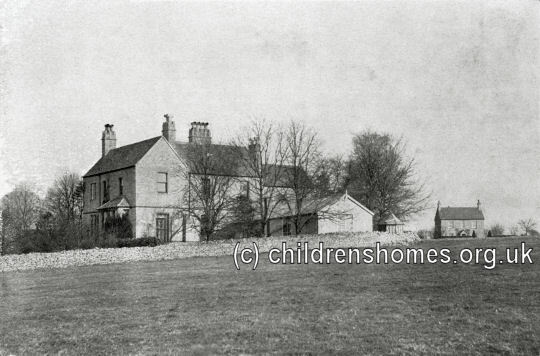 St Elizabeth's was established as a home for orphans in around 1875 at Eastcombe, near Stroud. In 1884, the house and its extensive grounds were handed over to the Church Extension Association, who operated a number of other institutions, and its running was taken over by the Community of the Sisters of the Church, an Anglican sisterhood of nuns sometimes referred to as the Kilburn Order. From then on known as the Orphanage of Mercy, the home received girls 'who are literally without a friend in the world'. In practice, this comprised girls who had lost both parents, had no other relatives capable of supporting them, and had no-one else willing to fund their maintenance at a paying orphanage. Wherever possible, the orphanage took members of the same family. The girls were trained for employment as domestic servants or schoolmistresses. In the early 1900s, St Elizabeth had become a holiday home for undernourished children from Birmingham. From 1913, it became a long-stay home for girls who were later transferred to other homes for training for domestic service. The girls attended the local village school although missed the first hour of lessons each day while they given religious education at the Orphanage. Occasional treats included a Christmas hamper from the Order's headquarters in Kilburn, and a breakfast alone with the Superior, Sister Francis, on each girl's birthday. The home was closed at the time of the Second World War. Gloucestershire Archives, Clarence Row, Alvin Street, Gloucester GL1 3DW. Has Deeds and papers (1800-1955); Draft typescript of orphanage history (1892-1911).